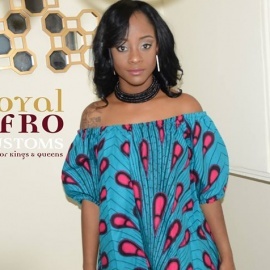 Royal Afro Customs Was Also Birthed From The Idea That We Are Royalty, Kings & Queens- Made In God's Image & Therefore Need To Dress Accordingly. 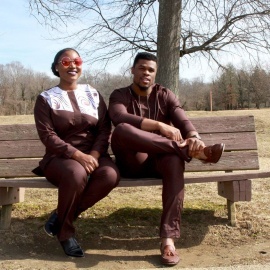 Everything We Sell Is Straight From Africa, No Fake Fabrics From Walmart Or China, Just Real Authentic Fabrics From The Mother Land. 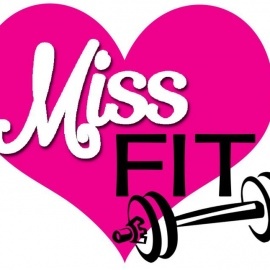 Our Mission Is To Make Clothing That Will Be Your Perfect Fit And Make You Feel And Look Good Because We Know How Frustrating It Can Be To Go Shopping For A Special Event But Never Finding That Perfect Fit that also fits your budget.